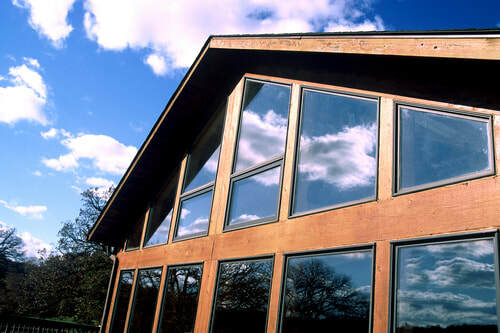 Technology surrounding the creation and development of home windows has come on significantly in the last decade or so. Now, the windows and surrounds are substantially improved providing you greater insulation and draught protection than ever before. Throw in better noise reduction, and what you have is a product that will transform your home. As the top Fort Collins home windows company, we know that people take some time to decide as to whether or not they want to press ahead with a form of renovation that does tend to cause a significant amount of upheaval. However, that is where we come into our own as we not only put your mind at ease with that, but we also strive to make the process as smooth as possible. So, you may wonder where all of this begins, so let us tell you. After getting in touch with us, we will arrange a time to discuss your needs and what you are looking for in person. At this point, we can provide you with a number of options that we feel may be suitable for your home when it comes to replacing your existing windows. Don’t worry about the costs as we do provide you with a number of solutions that are suitable for a range of budgets. We will also be able to provide you with options no matter if you have any rather peculiar shaped windows. We are also fully in-tune with any regulations that may apply and we will make sure that you are always on the right side of the rules, so there’s no need to worry. Our team of installers are fully insured, so you have no cause for concern should anything go wrong. However, with years of experience with installing windows, there will be no problems or issues that we have not yet addressed. This does mean you are in safe hands every step of the way, and we can assure you that you will be more than happy with how things look by the time we leave. With our ability and desire to provide your home with new windows that compliment the rest of the building, we are confident that you will instantly fall in love with the finished article. Not only that, but we are sure you will be amazed at the price we charge without it having a negative impact on the quality of the finish. All you have to do is to make that call or contact us via our website and a member of our team will be in touch. We look forward to transforming your existing windows in your home into something more special than you could have ever imagined.